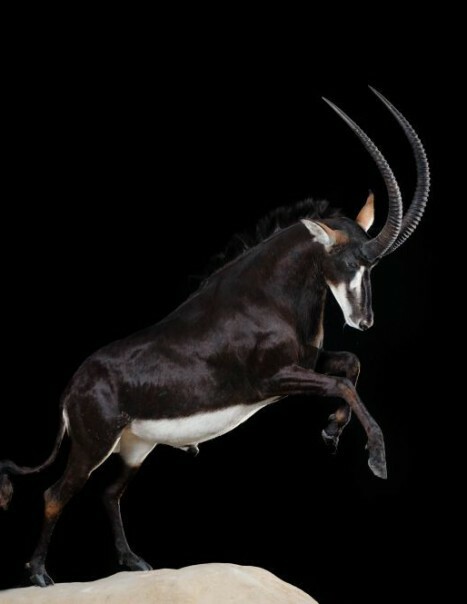 The sable antelope is a herbivorous mammal of the Bovidae family, dwelling woodland of Mozambique, Southern Africa to Tanzania, Zimbabwe, Botswana, Zambia and Angola. 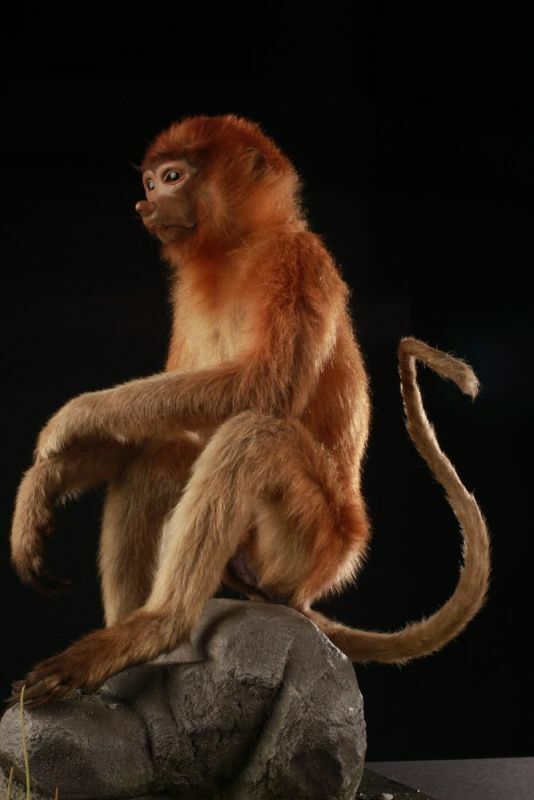 There are several subspecies. Males are larger and heavier than females. Its neck is thick, long narrow snout, pointed ears, it wears a mane to the withers erect tail is long and ends with a tuft. The sable antelope is easily recognizable by its coat: deep black for males and brown for females. The abdomen, the inside of the back legs, buttocks and part of the face are white in both sexes. Males and females wear high rimmed horns that are strongly bent backwards for males and less for females, their horns are about 100 to 120 cm and are smaller and thinner in the female. They are diurnal but have reduced activity during the heat of the day. If two territorial males meet, the clash occurs. They are brave and strong, a wounded male continues to fight even on land. Herd sizes vary according to the season. Being herbivores, ruminants, they gather in the dry season near the few water points and disperse in the wet season when grass is abundant. They are found in open forest or around the savanna, where the grass is high enough. It avoids dense forest as far as the short grass of the savanna, because it resents drought. It is always in motion and especially grazes in the morning, before retiring to ruminate. It can also eat leaves of shrubs and bushes, especially during the dry season when grass is scarce and of poor quality. Despite this diet laden with moisture, it should drink daily. It reaches sexual maturity at 2 years for females and 3 years for males. Females give birth to only one small after 270 days of gestation, it will be weaned at 8 months. Predators are lions and humans, these antelopes can become very aggressive, especially the dominant male. They can be quick and run up to 56 km/h. Although it usually flees from danger. 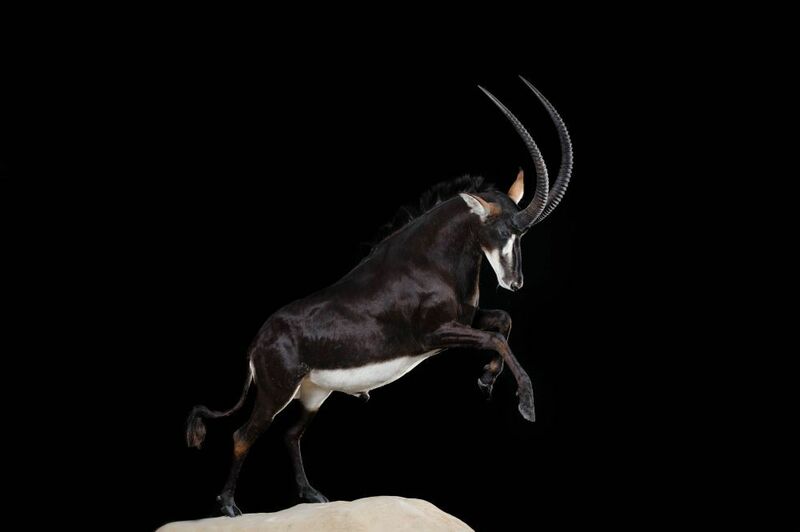 In captivity, the longevity of the sable antelope is between 15 and 20 years, a specimen having reached 22 years. In the nature, average life expectancy is weaker, due to predators, disease, population.